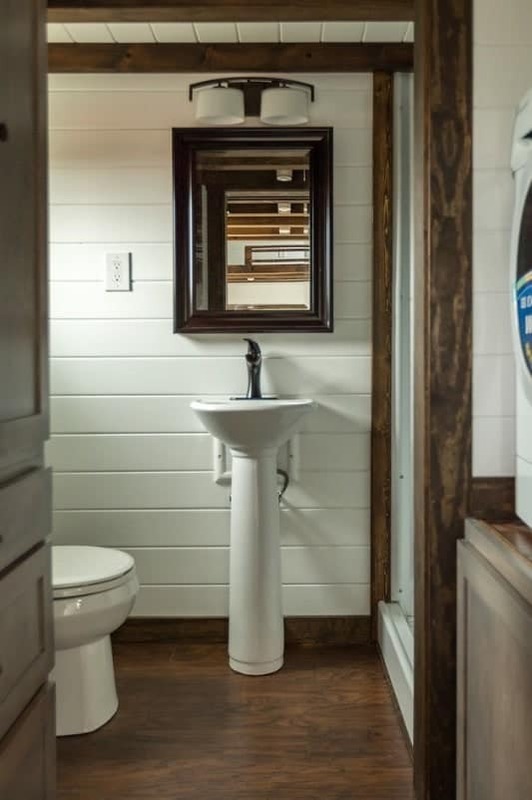 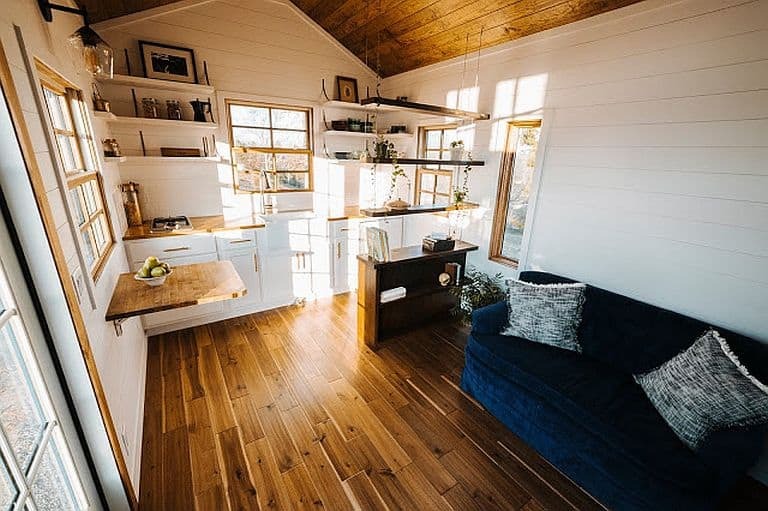 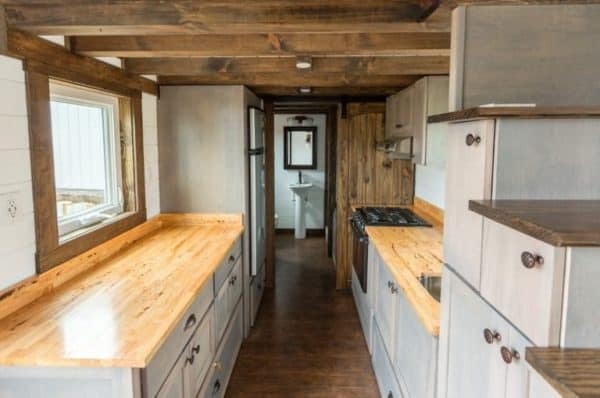 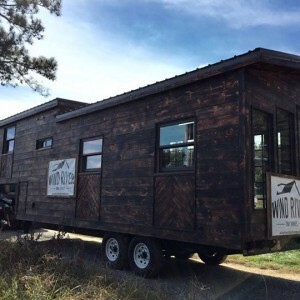 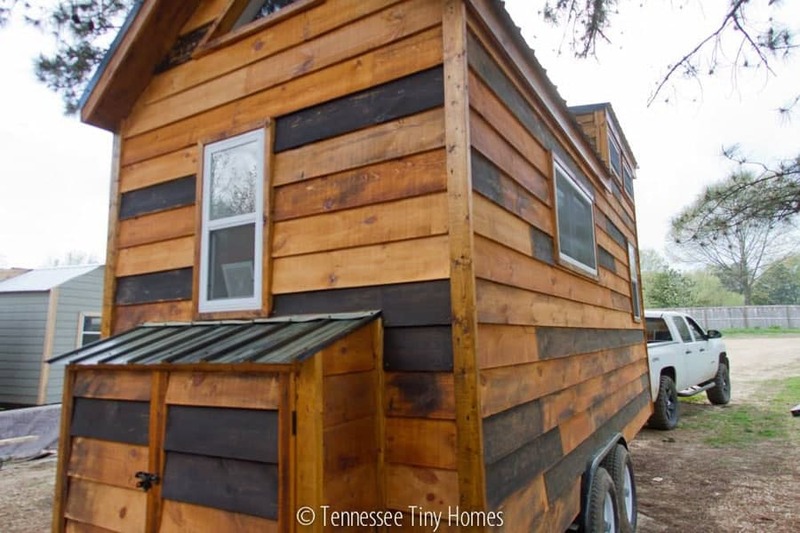 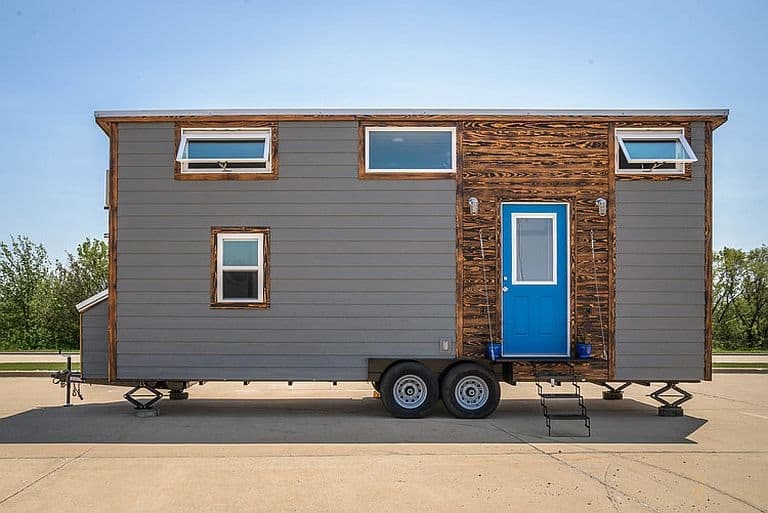 Tiny House Chattanooga, which last year made history with the first American-made steel-framed tiny house ever, has a new build out. 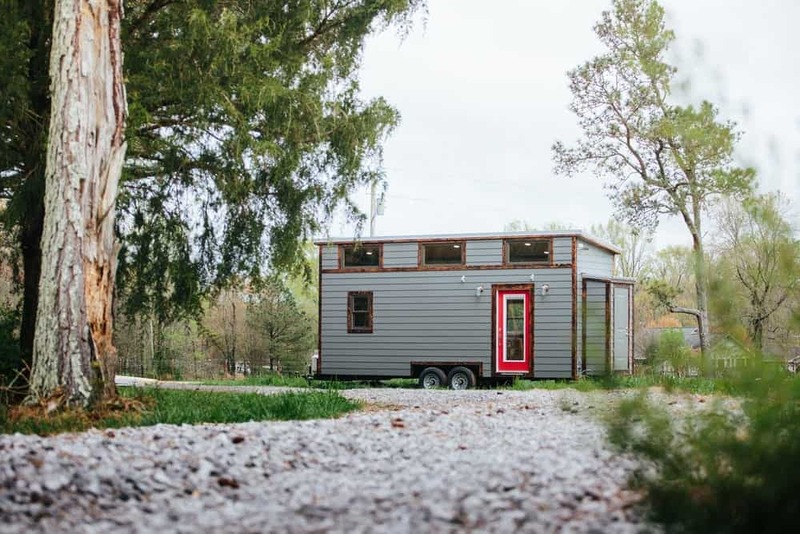 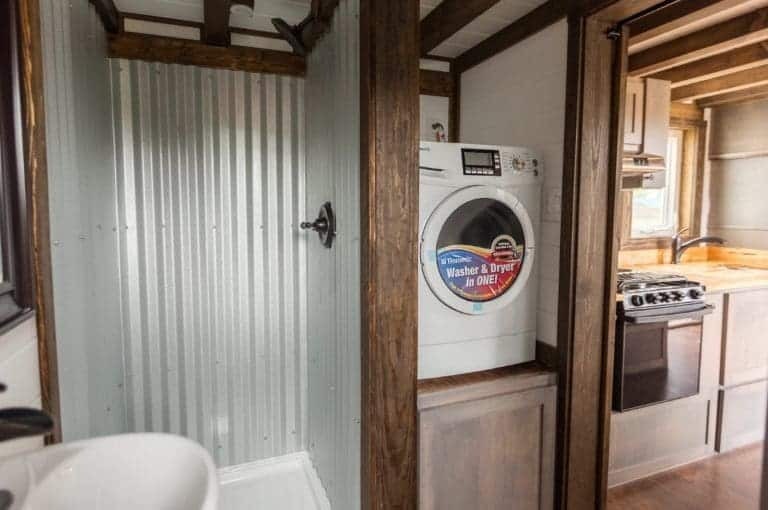 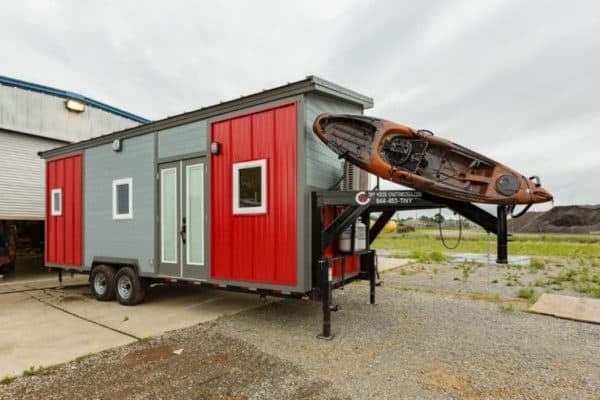 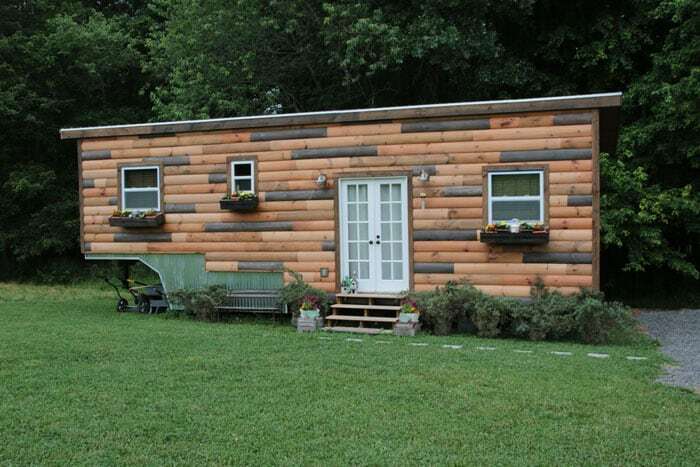 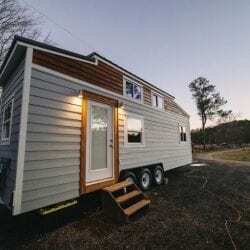 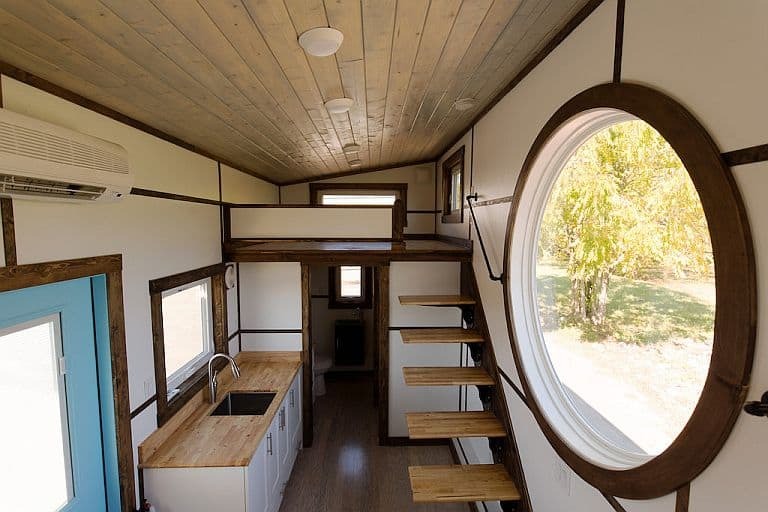 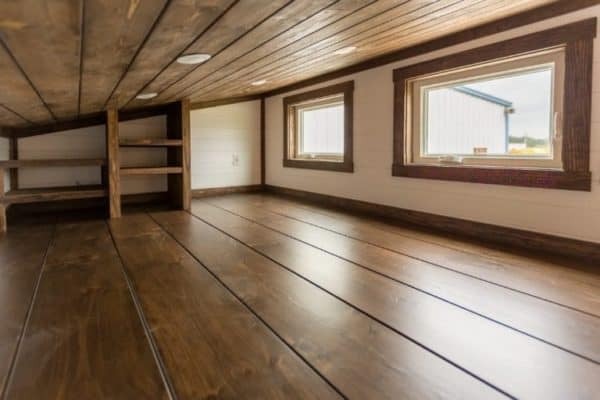 The red-and-gray siding and the fifth-wheel trailer make it look a lot different from that pioneering effort, but when you look inside you’ll notice that the layout is almost exactly the same. Well, if it works, why change it? 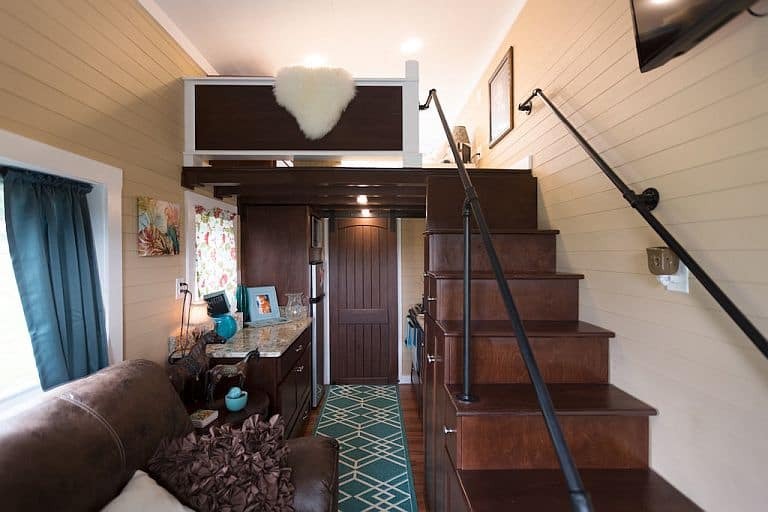 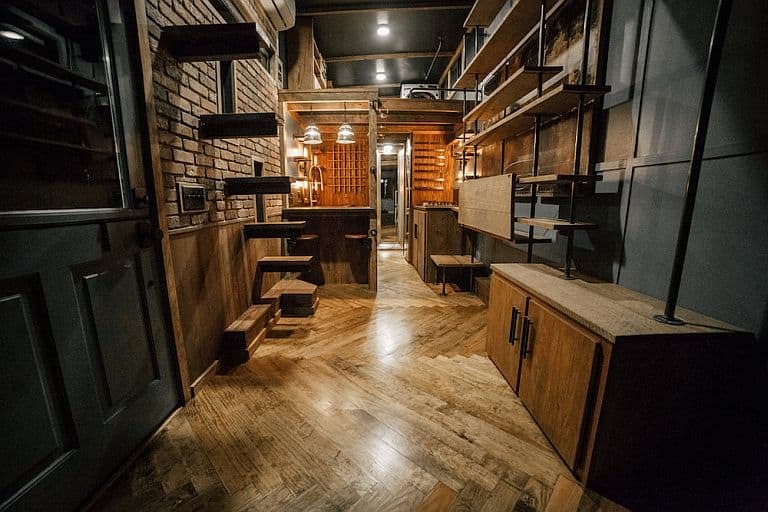 There’s a living area waiting for the buyer’s furniture, a galley kitchen with long counters and the essential appliances (oven with hood, refrigerator), a washer/dryer in its own alcove between that and the bathroom, and a sleeping loft above a flight of storage stairs. 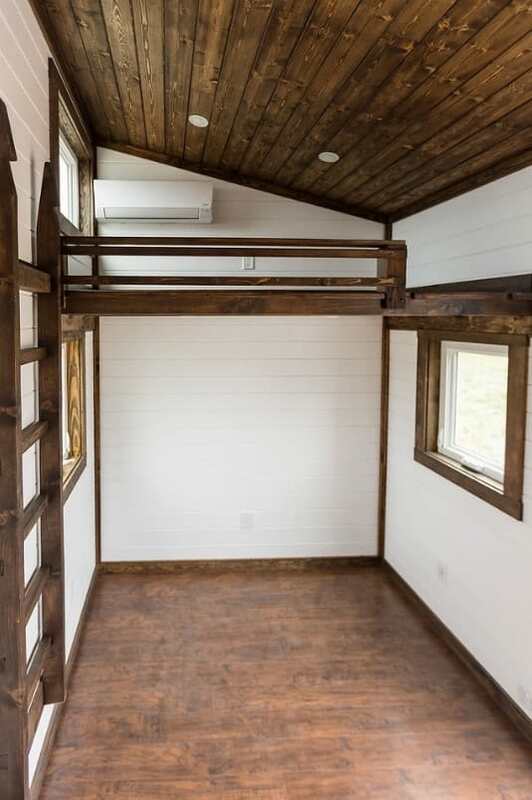 The slanting shed roof means there’s not that much headroom in the loft, but the windows lining the high side give you some ventilation and a good view out.